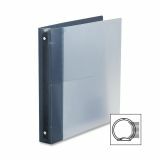 Avery Flexible Round Ring Binder, 11 x 8 1/2, 1" Capacity, Gray - Use this flexible binder to show off your knowledge, your organizational skills and your style. 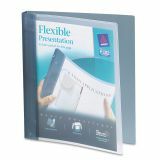 The binder's flexible design makes it compact and easily portable, but still durable enough to keep your pages securely enclosed. Customize this binder with a creative title page that slips into the convenient and secure, see-through front pocket. Nonstick poly material prevents ink and toner transfer. Nonlocking, metal round rings mounted on the spine secure your letter-size documents. 1 ring capacity holds approximately 175 sheets. 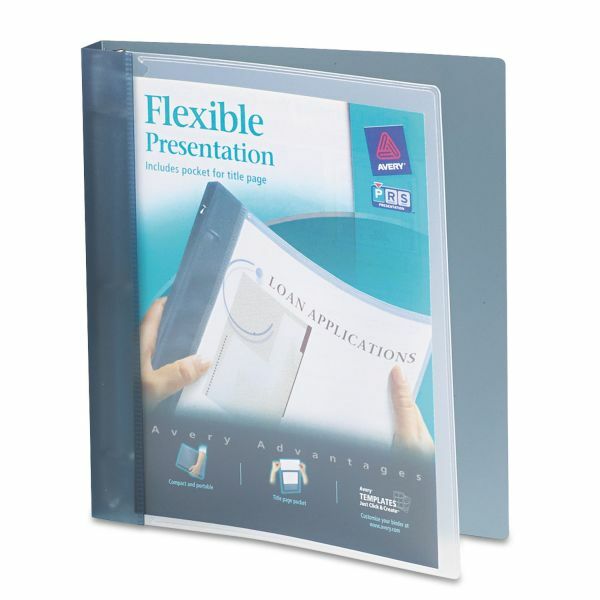 As the ideal showcase for your next proposal or presentation, this binder also features a translucent spine and back as well as exposed rivets,"
Use free templates available from Avery® Design & Print.